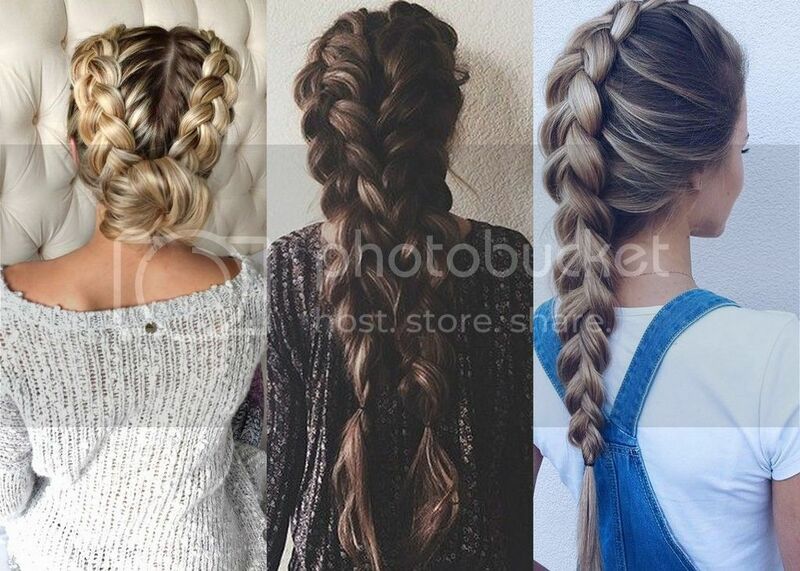 You wake up every day to a new hairstyle trend, but braids are timeless, they’re always trendy! 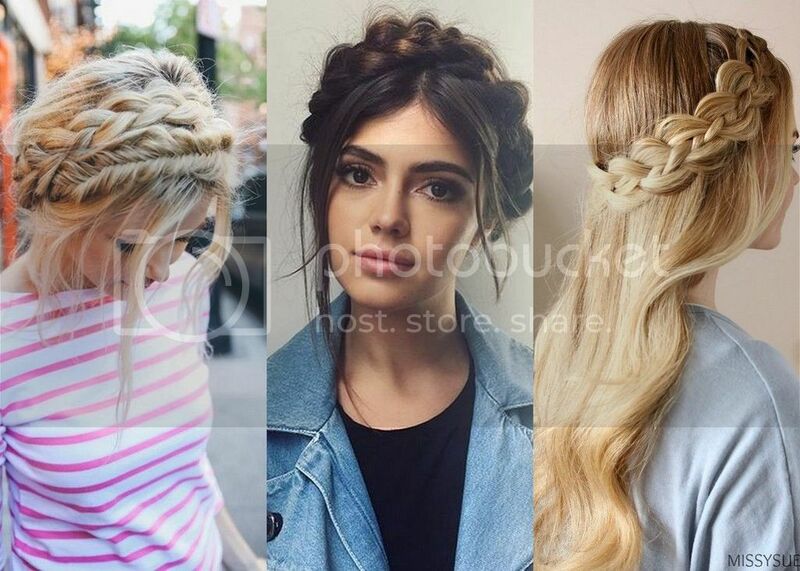 And in this article, we gathered five different braid hairstyles to look trendy with your favorite braids, in five different ways. What’s even more great about braids? They’re perfect for almost everywhere you go, whether it’s a wedding or a day out with your girlfriends. 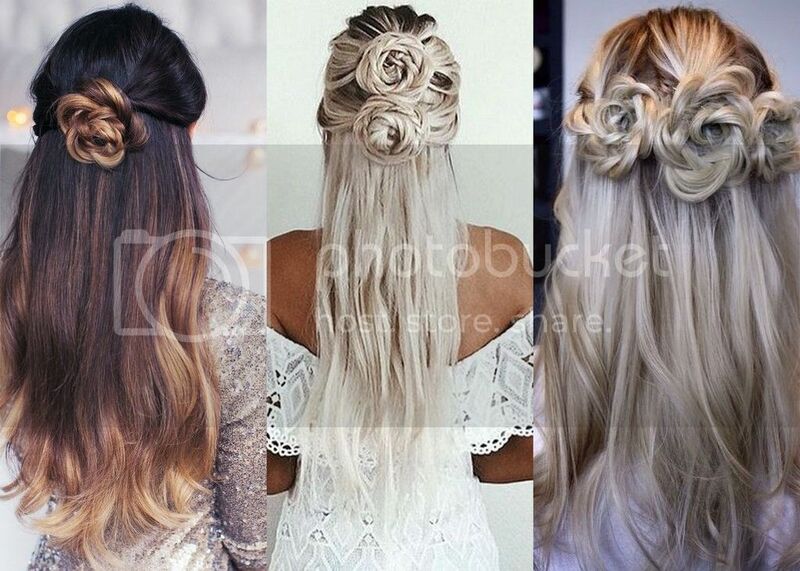 A pull-through braid is one of the prettiest braids, and the most flattering for voluminous long hair. All you need to do is to pull your hair up into a classic ponytail, and then separate your hair into three large tufts. Take the two large tufts on the side, and cross them right above the tuft in the middle, and then bring them together with a transparent elastic band. Repeat this process until your ponytail is fully braided. 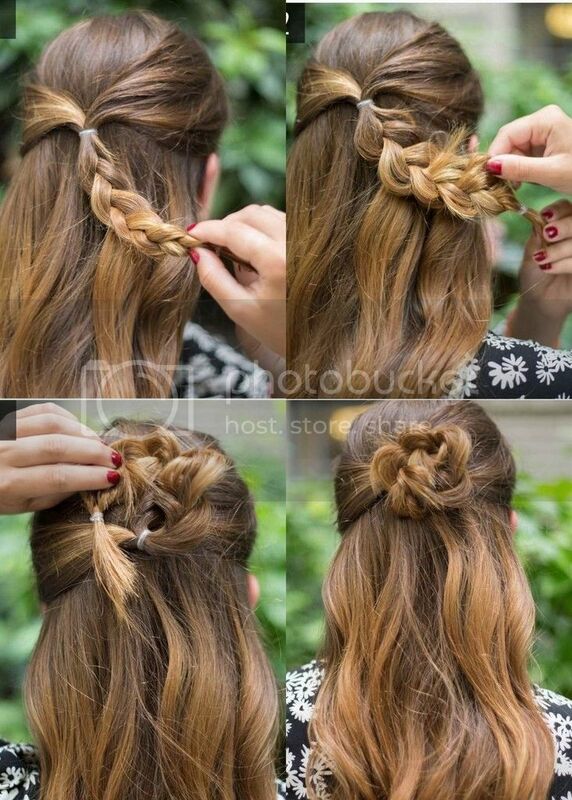 Now gently pull the tufts of your braid apart, to create a voluminous long braid. Note: Braiding your hair with a ponytail is not necessary, you can do this braid from the side or with a low ponytail if you’d like. The flower braid hairstyle is easier than it looks; it only takes a few easy steps to do. Brush your hair very well to the back. Now right at your head’s crown, separate your hair at the top, and leave the rest down. 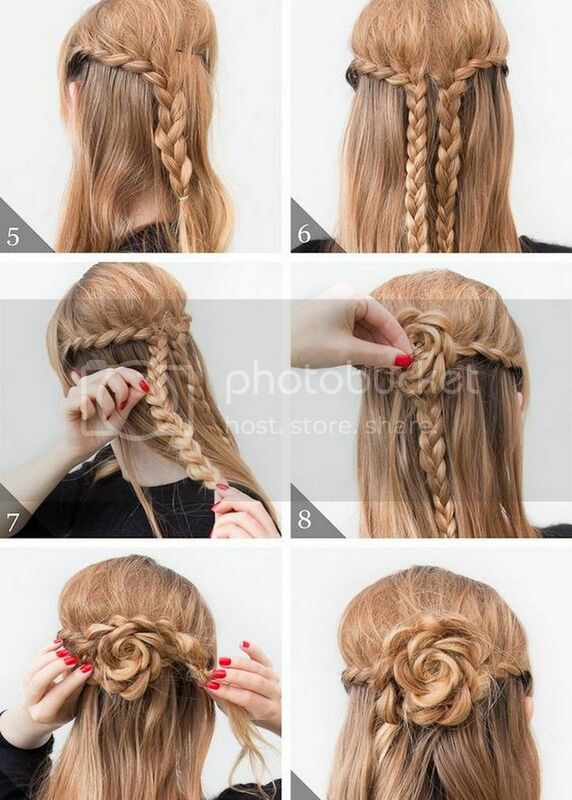 Now separate the hair on the top, and make two braids from the side, just like a braid crown. 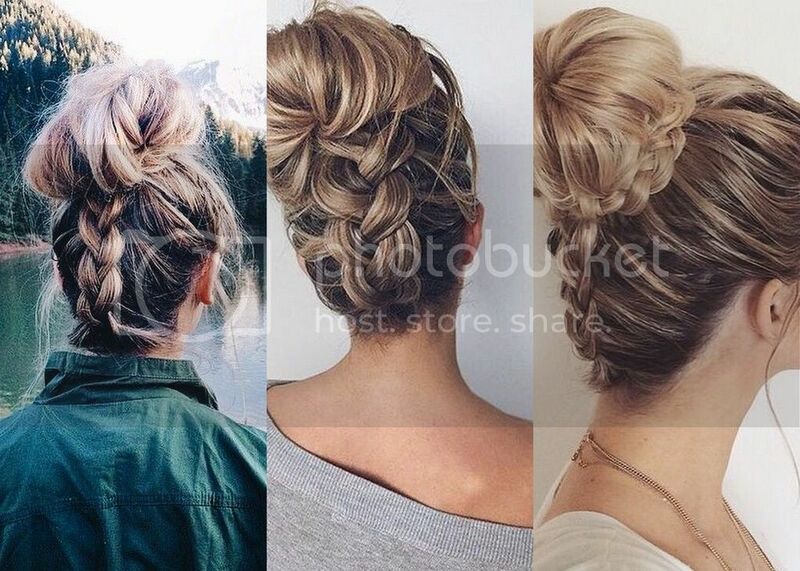 Right at the middle of the back of your head, roll the first braid into a loose bun, and then roll the other braid right above it into a loose bun. And secure them with bobby pins. Note: If you find it hard to make a two sides braids, then just make a loose one right at the crown of your head and roll it into a loose bun. 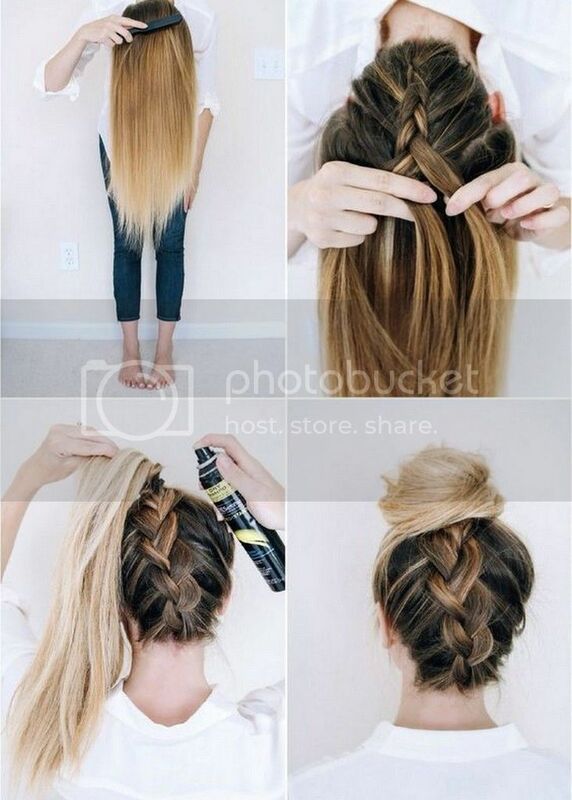 Don’t forget to pull the tufts of hair braid apart to make it look bigger. 3. 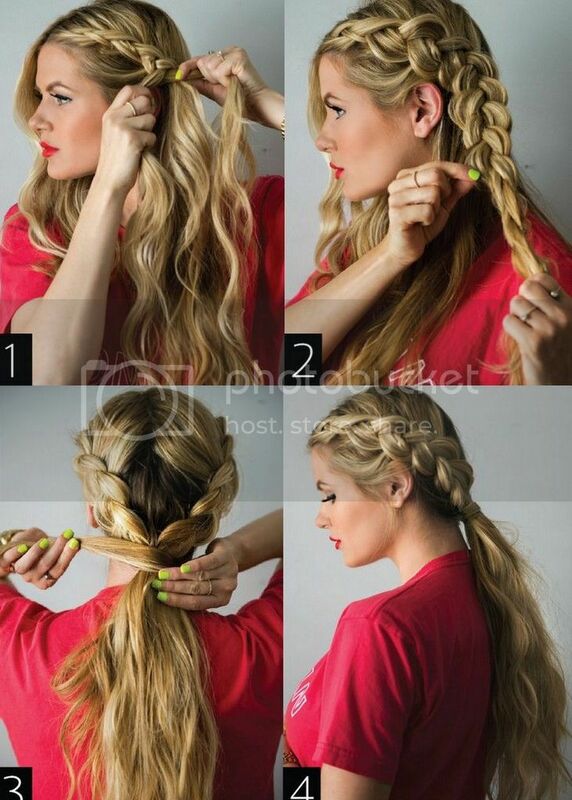 Upside down braid hairstyle. Upside braids are not that hard to make, here's how to do them: Start by brushing your hair to get rid of any tangles or knots. Tip your head upside down, and continue to brush your hair. 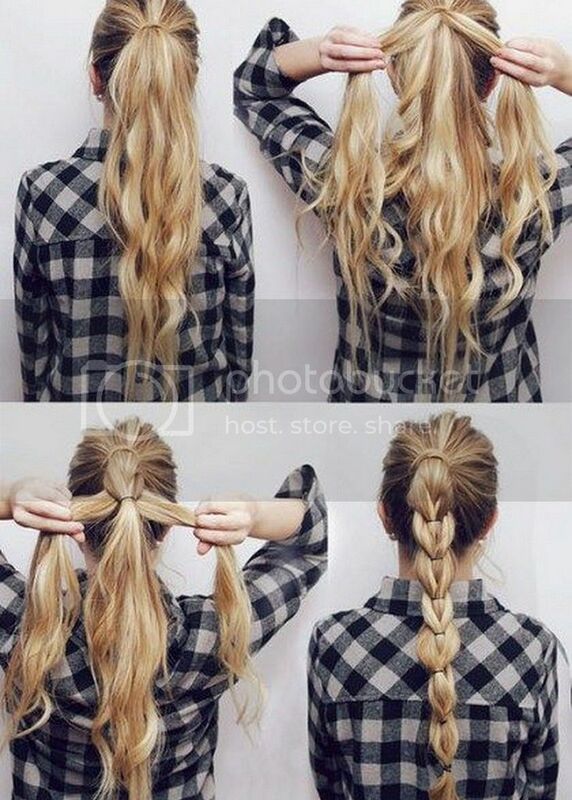 Take a big lock of your hair from the middle, and divide it into three parts to start making a braid, while leaving the rest of your hair loose. Braid all the way to your ends, then lift your hair up into a ponytail and secure it with an elastic band. Brush your ponytail in the opposite direction to give it some volume. Wrap your hair into a bun and secure it with some bobby pins. 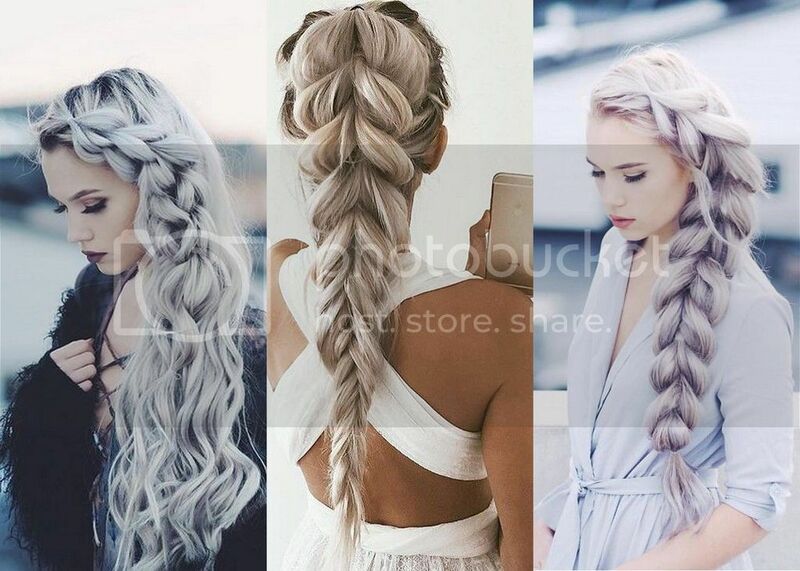 If you feel the braid is a bit too tight, just loosen it up a bit, by gently pulling it apart. 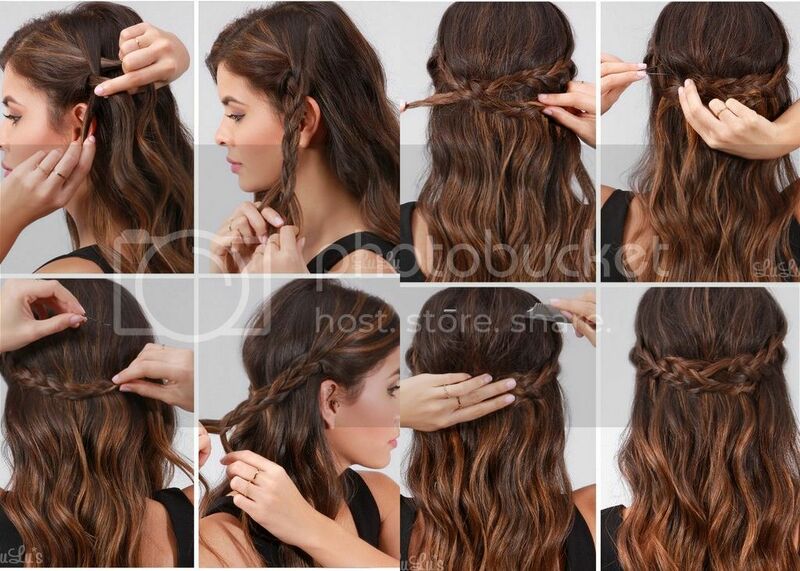 Unlike the classic braid, this braid is made look voluminous, just like the pull through braid hairstyle. This braid is called double Dutch braid and some others call it boxer braids, because they used to be done for ancient boxer fighters. Follow the steps in the picture to make it. This is one of the classiest hairstyles for all women; watch the following video to know how to make it easily!